___ For clued-up clients including the Young Vic theatre, Sacla and MTV, FL@33 produces work that speaks of an unfettered mind. Agathe Jacquillat and Tomi Vollauschek aren’t forcing the multi-X approach – promising fresh and interesting solutions, they strive to avoid stereotyping their work. It’s strange then that the agency has given its online retail experiment the name Stereohype. This is an outlet for self-commissioned work in the form of creative T-shirts, cards, prints, toys and books. You name it, FL@33 can do it. ___ Although the team has recently moved to more salubrious lodgings in Clerkenwell, London, until last year the office was based in a flat in Notting Hill. “And, you guessed it, the flat number was 33,” explains Tomi Vollauschek. Hence the name. 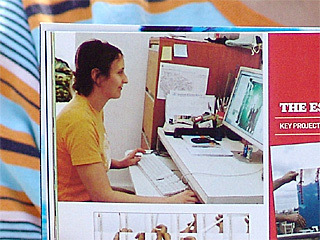 ...specialisation that seems to have taken over the rest of the professional world is thankfully less evident in design. 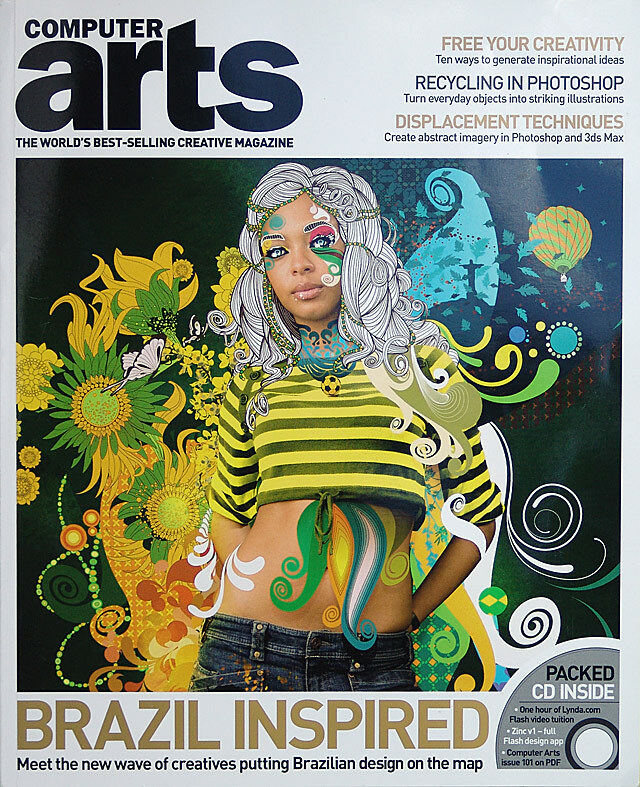 “We consider it very fashionable to offer a wide range of different creative approaches, techniques and media,” says Vollauschek. 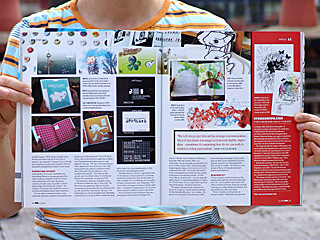 ___ FL@33 released a book in February this year, a monograph entitled Design & Designer 033 – FL@33. “We had a solo exhibition in Paris from December 2004 until January 2005,” says Vollauschek. 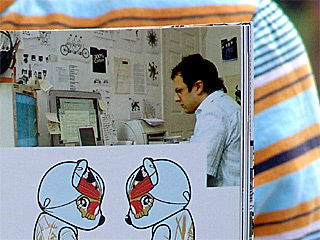 The opening night introduced FL@33 to one of those unseen clients, Paris-based graphic design magazine étapes, which had been a FL@33 collaborator since 2001. Six months later and the FL@33 monograph arrived back from the printers, but the process was far from smooth. 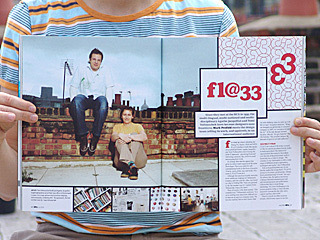 “In 2002 – a year after we set up FL@33 – we were originally approached by a London-based publisher to sign us for a FL@33 book. It was a major follow-up of our Trans-form project,” Jacquillat remembers. | Branching out | “It was a fantastic way for us to put our first projects aside, get them out of our system and move on,” says Jacquillat of the creative side-effects of the FL@33 book. These two are fond of moving on, of diversifying into products, toys and anything else that comes along. ___ Check out the Stereohype website and before long you start to notice a preponderance of tree-loving rodents. Is FL@33 obsessed? “Yep, I suppose we are,” Vollauschek admits. 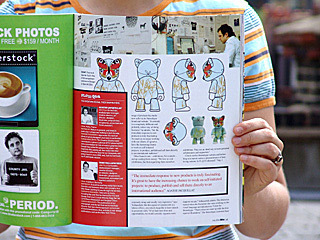 The obsession started when the European duo were working on the visual language and introductory T-shirt for Stereohype. 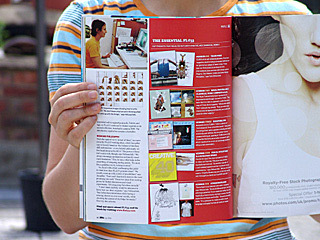 “That’s when we came up with the first squirrel illustration.” The Stereohype customer-base responded well to squirrel postcards, T-shirts and tags, so FL@33 continued to feature squirrels in its second collection, launched in autumn 2005. The introductory squirrel tee remains a bestseller. ___ “I don’t think anybody would be interested to know how our ideas originate,” says Vollauschek, “but I often have initial ideas while having a relaxing shower or, even more weirdly, while checking the content of the fridge for snacks.” Don’t try this at home. For the complete profile please download the pdf, approx. 0.4mb.